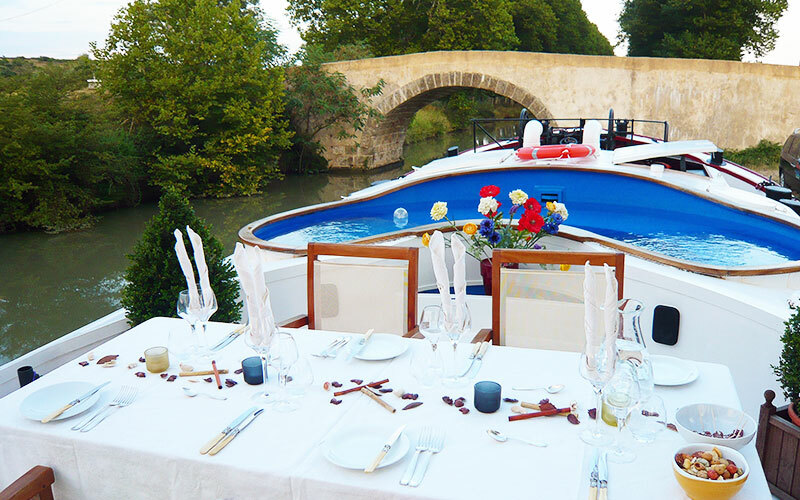 cruising the tranquil waterways of France aboard the beautiful modern and unique péniche hôtel Alegria, pampered by your crew... Alegria: the only de luxe Boutique-Barge on the Canal du Midi in Languedoc..
Alegria hosts a maximum of four guests in two large cabins fitted with king size beds. Barge cruising offers a week of relaxation, gastronomy, excellent wines, fascinating culture, great landscapes and friendship with a warm nation. Every day is a new day of discoveries ... and of unexpected surprises! built in 1937 at a shipyard in Thuin, Belgium. She was originally 38,5 meters long and 5,07 meters wide, designed for loads of 400 tons, but in 1999 the ship was converted to a houseboat and shortened to 29.37 meters (100 feet). Her present length now allows passage through the smaller locks of the famous Canal du Midi. 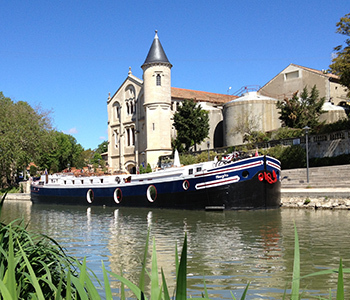 She is docked near Poilhes, a charming village on the Canal du Midi, 12 km from Beziers, 20 km from the Mediterranean Sea and close to Narbonne. The large lounge / dining room has two big portholes offering direct views of the Canal … and its inhabitants: our friends the ducks and geese. A home theatre with a wide choice of DVDs and CDs will give you some added pleasure, as well as a choice of books and parlour games. We offer you internet access through a Wifi connection based on the cellular network (2G or 3G). Also, a Marshall loudspeaker to be used all around the barge and offering a Bluetooth connection to your laptop or smartphone. The bar is well stocked with many of your favorite drinks, all of them offered to you. There is also a specific bar fridge and a coffee/tea making machine for your own use. The kitchen is either open onto the lounge or closed, depending on whether our chef will allow you to watch him prepare his secret dishes … but, don't despair, he sometimes does share his secrets with you!!! For your important documents or anything of value, we have a safe. 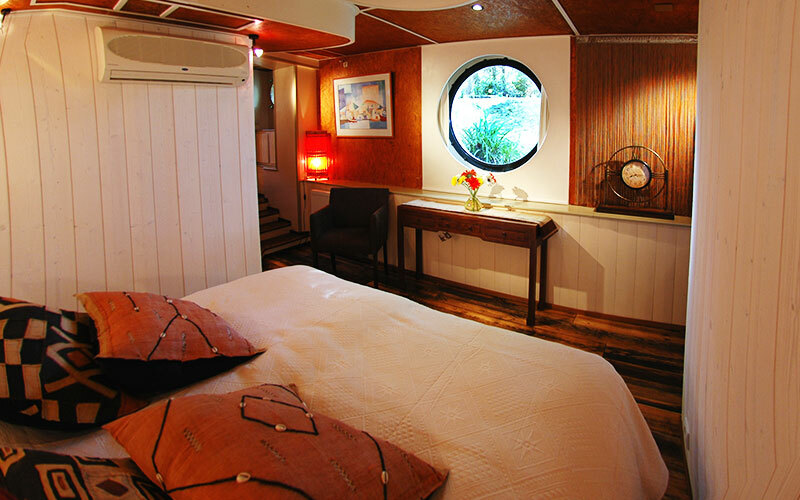 Two large guest rooms with en-suite bathrooms, totaling between 18 and 20 sq m ( 190 to 210 sq ft) each, are located on the sides of the boat. These cabins each have two entrances: one leading directly outside to the front of the barge near the pool and another one opening inside to the lounge. This allows both intimacy and independence. 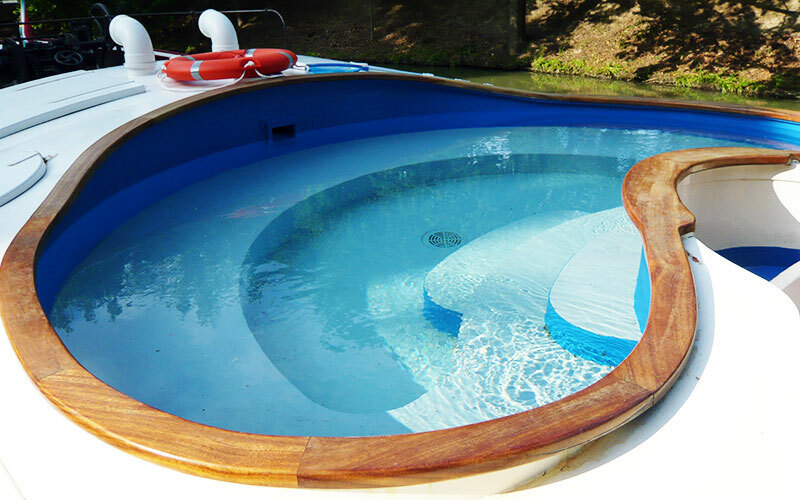 The rooms have large portholes which offer panoramic views of the Canal du Midi. The cabins are fitted with king size beds that can be separated into single beds upon request. You will be supplied with bath robes, bath amenities (from the famous product line "L’Occitane en Provence") and a hair drier. In your room, you'll also find a mini-fridge full of cool drinks and a tea & coffee tray with biscuits. Both cabins have air conditioning. 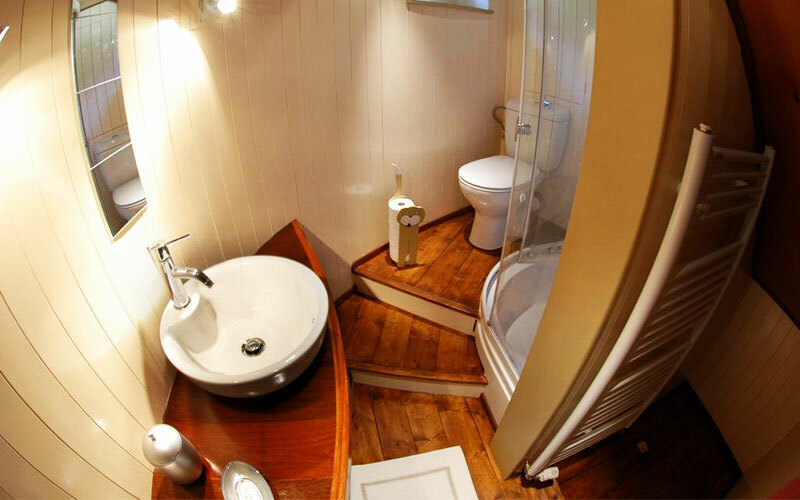 In the event of a cool night at the end of the season, the cabins are equipped with central heating, as are the bathrooms which are also fitted with heated towel rails. Daily housekeeping is provided and we can propose a laundry service upon request. Olivier Baudry, the owner of the barge, is a French native. He has been passionate about rivers, canals and river boats for thirty years. In the 1980’s he owned successively two house-boats moored in Paris and he had a great time cruising with friends across the French capital for several years. In 1989, with his passion in mind, Olivier left his secure job as a corporate banker and launched two luxurious river-boats in Paris. These were focused on the market of corporate and incentive events. Olivier then passed fifteen years in Cape Town, South Africa, managing his own tour-operating company. Late 2007 he came back to France to fulfill his passion and launch a cruising hotel-barge. Having a real French Native as your Captain is definitely a Huge Plus for your cruise!!! •	Your hostess is English and French speaking. She is an important part of your daily life on board for serving the meals, preparing your rooms and being available to help you to find your way on the barge... and around the Canal. •	The maintainance of the barge and the asistance to moorings are provided by a Matelot. Our Chef proposes a gastronomy based on a few excellent principles, such as giving priority to ORGANIC FOOD and to buy FAIR TRADE products whenever possible. For your added pleasure, we set your table with different services for breakfast, lunch and dinner: from the festive one through the ethnic one to the classic one with its Silver cuttlery. Weather permitting your meal is served outside on the deck. •	Our Chef will cater specifically for you and might even share some of his cooking tips as he prepares a dish. 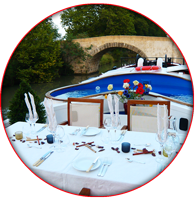 •	And ... we will also invite you for two meals (drinks included) off the barge in some local restaurants! Available in the lounge: - DVD player, CD player, books, games, Internet access with a Hotspot Wifi. "Barge laptop" also free for use. - Sorry for our friends: NO PETS ONBOARD...! 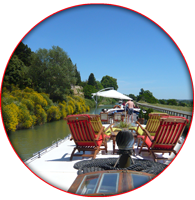 We have chosen to offer you what we feel is the most magnificent itinerary, which is the Canal du Midi between BEZIERS (specifically the port of Poilhes) and CARCASSONNE (village of Puichéric). We are also keen to study any specific request for a possible tailor-made cruise (such as above Carcassonne in the direction of Toulouse, or rather east-wards to the Petite Camargue and Aigues-Mortes). Please bear in mind that Alegria – as all the barges on the Canal - will cruise at between 4 and 6 kms/hour depending on the meanders of the Canal and the traffic. 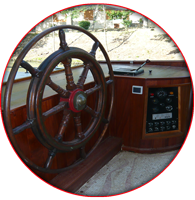 Our objective is that you spend between 3 and 4 hours a day cruising. The day is split nicely between navigating the canal and visiting some of the exceptional sites in the region. You can also run or cycle along the Canal: you will go faster than the barge!! 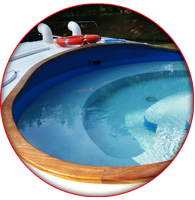 While cruising ... just relax, enjoy the scenery, enjoy the locks, refresh yourself in the pool and enjoy the drinks offered by your hostess!! When you look at the itinerary below you might be surprised that no Wine Tasting or Cellar Tour is planned … Do not worry!!!! Our Languedoc region offers many treasures of the local great wine makers. Depending on your taste and your willingness to discover some of them, we will personalize each cruise including visits which will appeal to you. The itinerary will be similar to the one below, but it can be changed according to your taste or due to unforeseeable circumstances. (This itinerary is therefore not to be considered as binding.) The same itinerary is also proposed the other way round depending on the dates: please have a look at the schedule of the 2013 cruises. We have the pleasure of welcoming you at the airport or at the railway station (from 4pm) and transfering you to Alegria, moored in Poilhes, 10 miles from Béziers. After the crew is introduced to you and after you settle down, you are served a welcome Champagne drink while we start cruising slowly along the Canal. After a u-turn we come back to the mooring of Poilhes. You can slowly stroll through this lovely village of less than 500 inhabitants before you are proposed some apéritifs… We serve your first dinner onboard and spend the night in Poilhes, our "home mooring". 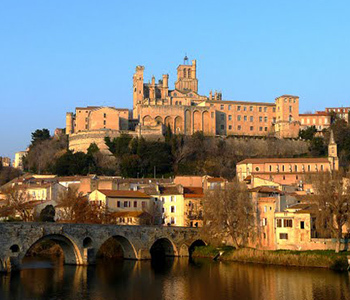 On this Sunday morning our guide proposes you a “multi-site” excursion: the City of Béziers, the famous “stair case” of the Nine Locks of Fonsérane, the archeological (6th century BC) site of the Oppidum of Ensérune, and the Malpas Tunnel, the first tunner built in the world for a canal. After the lunch (or during lunch… depending on the weather conditions) you cruise to La Croisade and pass underneath the lowest bridge on the Canal: the famous bridge of Capestang. Mind you head! This 18km cruise is typical with its numerous meanders: yes the Canal actually looks like a River! After this four-hour cruise the dinner is served onboard and you spend the night in a restful place, a stone's throw away from ... an old 17th century stone bridge. In the morning we cruise slowly to Le Sommail, one of the most charming villages along the Canal. Should you need a book for the week you can buy one from a unique book shop that has approximately 50 000 second-hand books in stock ... in many different languages! In the afternoon you may chose to relax on the barge, roam around, cycle, etc but we also propose you to visit a wine farm or an olive mill nearby, or any other site that might suit your wishes. At the end of the day you are invited for the Captain's Dinner in a local auberge. It's the perfect opportunity to enjoy the atmosphere of a French restaurant! In the morning you go to one of the best market in the region, in Olonzac. Youcan look and buy anything you wish, from a provençal table cloth to special olives locally grown (well… we have some on board too!). Then the guide takes you to Minerve, a fascinating site and a previously fortified village in a very special rocky environment. Minerve was attacked in 1210 by the terrible army led by Simon de Montfort: the right time for us to tell you everything about the Crusade of the Albigeois in the 13th Century, one of the harshest stories of our past … The afternoon cruise takes you to the typical Minervois village of Roubia for the overnight mooring. The dinner is served onboard. In the morning you visit a beautiful town, Narbonne. Narbonne is full of Roman history and includes the "Palace of the Archbishop". You will love its Mediterranean and Gothic style. And ... you will be offered lunch there in a typical restaurant that has some fish specialties. After lunch you are driven back to the barge for the afternoon cruise. You pass your first lock after Roubia and we cruise to the port of Homps, one of the busiest harbors in the old times of the Canal commercial era. 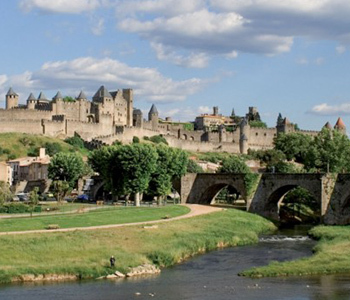 In the morning you visit the great City of Carcassonne, the biggest medieval City in Europe. You are just fascinated by the size of the walls and the narrow streets inside. You are right there in the middle of French history! There also many shops where you can buy typical souvenirs to bring back to friends or children. After lunch you embark on the last leg of the cruise for the week, from Homps to the area of Puichéric. You pass the last lock of the cruise and you can admire the wooden and iron sculptures made by the most famous lock-keeper on the Canal. The barge is moored just on top of this most beautiful lock. You spend your last night onboard Alegria after the Farewell Dinner prepared by our Chef. After your breakfast, it is unfortunately time to conclude this unforgettable cruise. We transfer you back to the airport or railway station … so that you can continue your adventure in Europe or wherever!!! THE WINE LOVERS CRUISE, which is directed and led by a Wine Master. The GOLF CRUISE, where we will propose some golf courses along the cruise, in function of your tastes. - Transfer from the local hotel, railway station or the nearest airport and return. - Accommodation in a cabin fitted with a king size bed or two single beds. - Service in the cabin, the use of a bar-fridge and the complimentary drinks inside, a kettle and tray with teas and coffee. - All meals served both on board Alegria and in outside restaurants (two meals with the Week Cruise; one with the Discovery Cruise). All the pre-drinks and beverages with the meals. - Open bar : all drinks offered on board Alegria. - The use of bicycles and stand-up paddle. - And above all ... the surprises or gifts that await you and that will not be disclosed in advance ...! - The gratuities to the crew (we recommend between 5 and 10% of the cruise rate depending on your level of satisfaction, payable in Euros to the Captain and then shared between all). - The balance of 75% has to be paid 90 days prior the departure date of the cruise. Please click below for our "Booking Terms and Conditions" . The payment of the deposit means that these conditions have been accepted. It was the vision of Pierre-Paul Riquet to connect the Atlantic to the Mediterranean by a canal. It would allow the safe passage of goods and services avoiding the long and dangerous route via the Straits of Gibraltar. 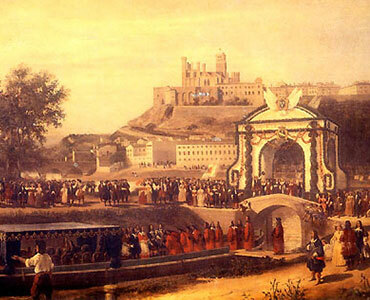 This vision was presented to Colbert, Minister of the King of France in 1660. It took Riquet 6 years of arguing with skeptics and adversaries to finally convince Colbert, the most powerful man in the country. 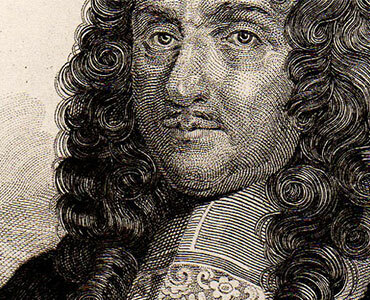 On the advice of his Minister, Louis XIV ordered the construction of the Royal Canal of Languedoc, which, subsequently, under the French Revolution, became the "Canal du Midi". At 60 and extremely wealthy, Pierre-Paul Riquet embarked on the greatest adventure of his life. 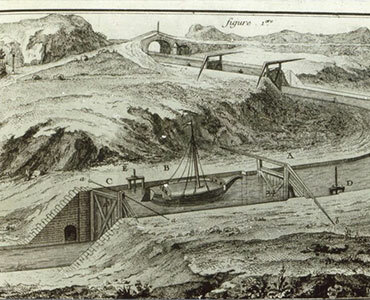 Concurrent to the digging of the canal, Riquet designed a water collection system in the Black Mountains. He built the reserve of Saint-Ferréol to store the water. Lateral canals brought the water to the summit of Naurouze thereby feeding the canal in two directions; to the Mediterranean in the East, and to the Atlantic in the West. Tragically, Riquet died in 1680, a ruined man, unable to see the fulfillment of his dream; a few months later, the canal opened. With the completion of the "Canal du Rhône à Sète" in 1829, and the "Canal Latéral à la Garonne" in 1856, the waterway at last connected the Atlantic Ocean to the Mediterranean. The Canal du Midi represents a huge undertaking for the 17th century: 15 years of work, 12 000 workmen including 600 women, 328 structures (bridges, quays, locks, aqueducts, tunnels...), 45 000 plane trees and cypresses planted along the banks. On the whole, 240 km were dug by shovel and pickaxe between the cities of Toulouse and Sète. •	April 1997: The Government of France classifies the Canal du Midi as a protected Site. 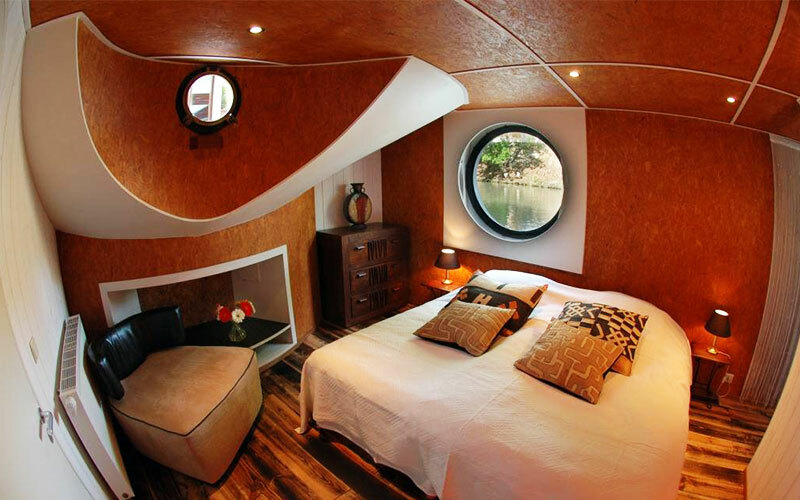 •	May 2008: the Exclusive Hotel Barge Alegria is launched!! 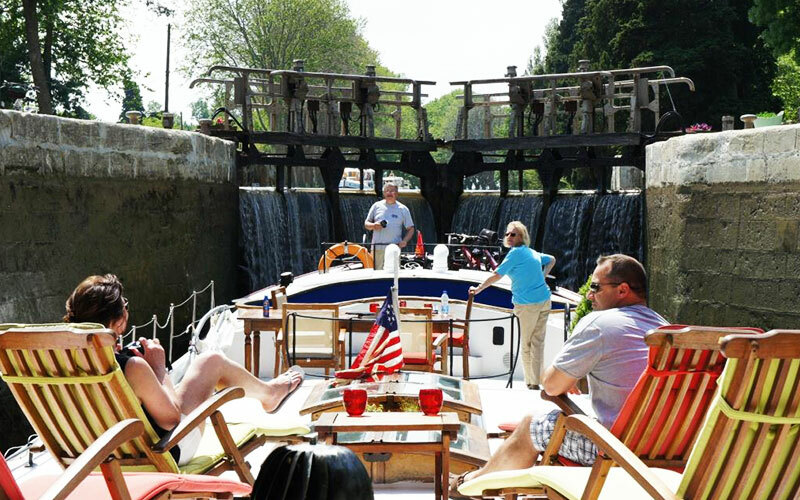 "We have traveled by barge before and our expectations were surpassed. Algeria gave us 5 star service the entire trip. The service was fabulous. Every day arrived with something which blew me away. I said it all except you have Alegria listed as deluxe and I think it was definitely ultra deluxe" Janet and David, USA"